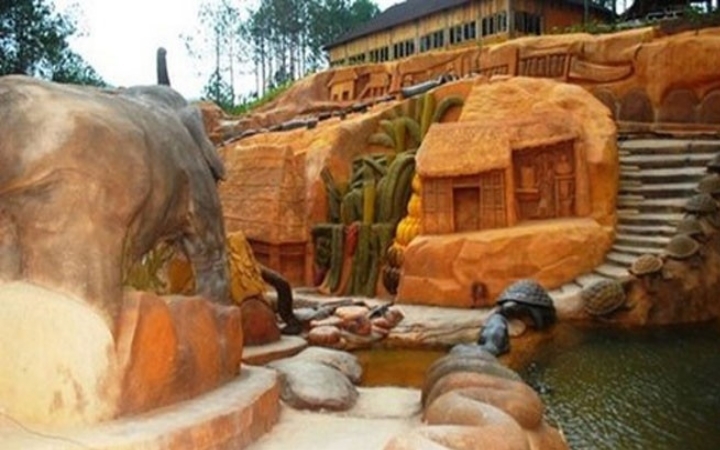 The clay tunnel or Dalat model village of clay sculptures is a must-see destination. 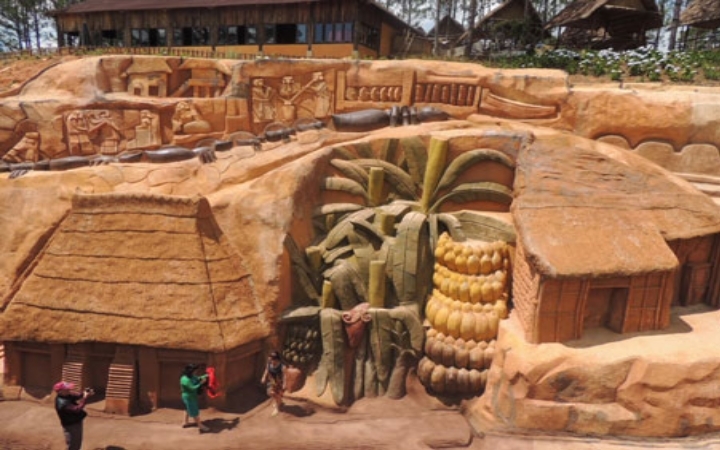 Covering more than 1,200 square metres of lush pine forest, the clay tunnel is a new artificial wonder for Dalat city in the central highland province of Lam Dong. 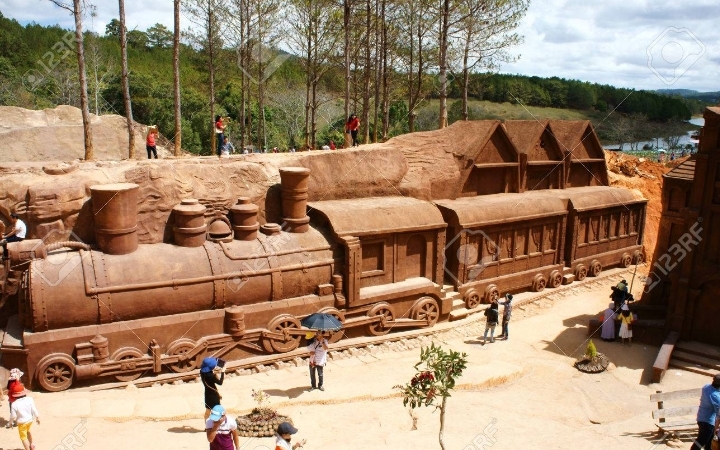 The clay tunnel located in the middle of the pine forest and its a miniature version of Dalat city, includes unique architectural masterpieces such as the railway station, Bao Dai’s Palace, Pasteur Institute, Dalat University, Palace Hotel, Linh Son Pagoda, Ho Xuan Huong Lake, and Dalat market are meticulously reproduced with red clay. 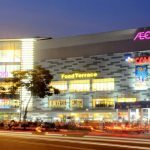 Read more: Dalat City. Lam Dong. 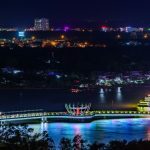 Dalat Taxi transfers to Mui Ne, Nha Trang.